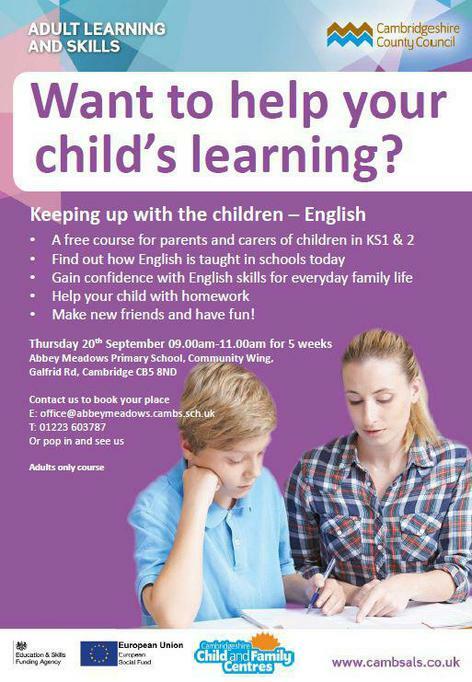 Cambridgeshire Adult Learning & Skills are offering a 5 week course for parents on supporting your child with English. This course starts on Thursday 20th September at 9am and runs for 5 weeks. If you are interested in taking part, please contact the school office.